Amber Hampshire is charged with involuntary manslaughter and endangering the life of a child. She’s accused of hiding her daughter Emily’s diabetes diagnoses for five years. 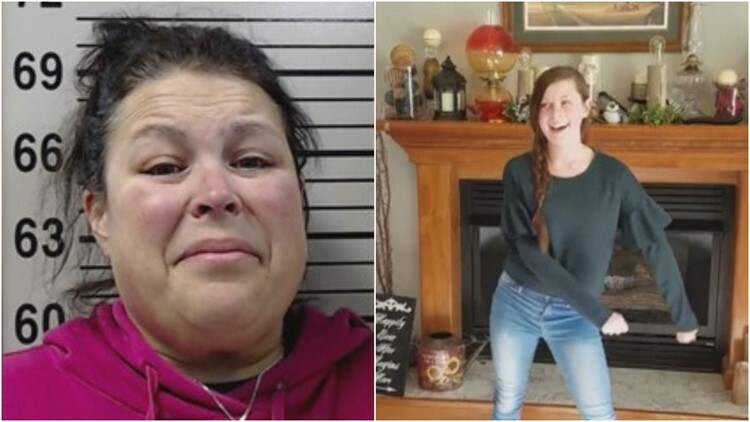 ALTON, Ill. — An Alton mother is charged in the death of her teenage daughter after the young girl went into a diabetic coma. Amber Hampshire is charged with involuntary manslaughter and endangering the life of a child. She’s accused of hiding her daughter Emily’s type 1 diabetes diagnoses for five years. Prosecutors in Madison County have called it a case unlike any they’ve ever seen. Their investigation started with a 911 call in November. According to court documents obtained by 5 On Your Side’s PJ Randhawa, the call was made on Nov. 1 at 8:08 a.m. from the Hampshire household. The caller indicated Emily was unresponsive and not breathing. The 14-year-old was rushed to a local hospital and then airlifted to Cardinal Glennon in St. Louis. She was unresponsive throughout her entire treatment from doctors, officials said. Emily died two days later. Her cause of death was listed as diabetic ketoacidosis, said Madison County State's Attorney Tom Gibbons. Amber Hampshire told doctors at Cardinal Glennon that Emily went to St. Louis Children’s Hospital earlier in the year and was diagnosed with pneumonia. She also said Emily had high sugar levels, but insulin wasn’t prescribed. Cardinal Glennon asked to have the medical records transferred to them, but Hampshire refused, the lead detective said. After Emily died, the hospital obtained the medical records. They found that Emily was diagnosed with diabetic ketoacidosis in November 2013. During her visit to St. Louis Children's Hospital in February 2018, doctors again said she had diabetes and was prescribed insulin as a routine medicine. The hospital also set up follow-up appointments, but they never showed up, the detective said. Emily’s school also received a notice about her diabetes diagnosis, but Amber’s mom—who worked at the school at the time—said the diagnosis was wrong and the school could disregard, the police detective found. Doctors at Cardinal Glennon indicated on Emily’s medical records that medical neglect may have played a part in the teenager’s death. So how could a parent let their child suffer and die? Expert and clinical psychologist Dr. Marva Robinson said she believes it might be a because of a personality disorder. “It sounds like it could be a personality characteristic where an individual wants to live their life through someone else. So this image must be perfect. So anything that is a crack to that foundation is ignored or dismissed,” Dr. Robinson said. “If it was the pursuit of perfection in a child, I think every child is perfect in their own way. I don't know what it was that drove her to do this,” Gibbons said. Gibbons says the lack of medical treatment in this case is not related to the family’s religious beliefs. He said evidence gathered by investigators will prove it. If convicted, the charge of involuntary manslaughter carries a sentence of 3-14 years in prison. The charge of endangering the life of a minor is 2-10 years.